Odisha government is set to encourage private houseboat facilities at three major tourist destinations in the State as a part of its endeavour to boost inbound tourist flow and enhance their experience. “We have decided to allow private sector houseboats at Chilika, Hirakud and Bhitarkanika, most sought after tourist hot spots. The focus will be on a clean and eco-friendly mechanism to ensure that the ecology of the water bodies is protected,” Tourism Secretary Vishal Kumar Dev said. Earlier, Odisha Tourism Development Corporation (OTDC) had introduced the houseboat facility at Chilika, Asia’s biggest brackish water lagoon. 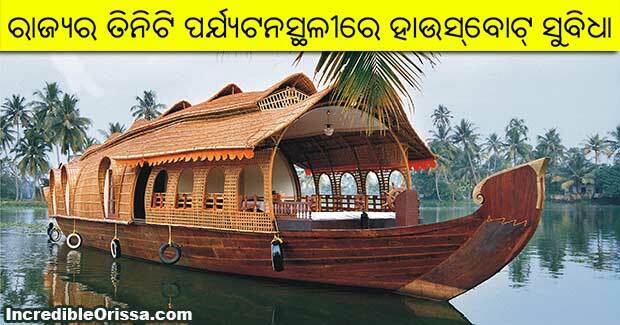 The houseboat having facility to accommodate two families was launched at Barkul. While such facilities are a big hit at places like Jammu and Kashmir, Goa and Kerala, Odisha Government believes it can woo more foreign and inland tourists by offering them houseboats. “We have 357 identified tourism spots and with limited budget it is difficult to develop all spots the way it should be. That’s why we have decided to focus on eight specific tourist circuits including Golden Triangle, Buddhist Circuit and eco-tourism spots like Bhitarkanika, Hirakud and Debrigarh apart from some beach resorts,” Dev said.